If life was about sheer survival, pure mathematics wouldn't get you far. You can't kill a tiger with group theory, or gather food with a prime number sieve. Something similar goes for the arts, or for the desire to understand the laws of the Universe. These fields have no immediate benefit, yet we humans have an unquenchable desire to explore them. Why? That's the subject of Mario Livio's latest book, Why? What makes us curious. "I happen to be a very curious person," he says. "And at one point I became curious about curiosity. What is it that makes us curious?" To answer this question Livio, astrophysicist and best-selling author, delved into psychology, neuroscience and history, and talked to curious people from all sorts of backgrounds — from Astronomer Royal Martin Rees to Queen guitarist Brian May. The results are fascinating insights into a phenomenon that's fundamental to humanity but surprisingly under-researched. Livio starts the book with a look at curiosity at its most extreme. The Renaissance polymath Leonardo da Vinci and the legendary physicist Richard Feynman were both interested in just about everything. "I don't know anything, but I do know that everything is interesting if you go into it deeply enough," Feynman once said. Both had an overwhelming desire to understand how the world works and employed all tools at their disposal — art, science and maths — to find out. Despite being separated by five centuries Leonardo and Feynman shared quite a few interests. Both investigated the physics of candlelight, for example, and thought a lot about waves. Livio's loveliest discovery comes from the pages of their notebooks. "It is remarkable that [some of these pages] look almost the same," says Livio. "They are filled with drawings and with all sorts of mathematics." That maths should arise so naturally whenever someone starts thinking deeply about the world is a mystery in its own right (to which Livio has devoted a previous book). But as far as curiosity is concerned, what's interesting are not only the parallels between Leonardo and Feynman, but also a crucial difference: Leonardo was good at art and bad at maths and Feynman was good at maths and bad at art. "Clearly the parts of our brain that are responsible for curiosity are not directly connected to great talent in mathematics, which Leonardo didn't have, or huge talent in art, which Feynman didn't have," says Livio. So what are they connected with? The question leads to one of the surprises in the book. Clearly all curiosity isn't the same. Being curious about the laws of the Universe is different from being curious about someone else's phone conversation, or about what has happened on Instagram in the two minutes you haven't looked. The psychologist Daniel Berlyne classified curiosity in the following way. First there's perceptual curiosity, which we feel when we see something new, ambiguous, or puzzling, such as a giraffe walking down main street. Opposite to perceptual curiosity is epistemic curiosity, or "lust of the mind" as Thomas Hobbes called it, which is about gaining knowledge and drives us to do things like maths. Then there is another pair of curiosity kinds: specific curiosity, which is about finding a specific piece of information, say the solution to a particular equation, and its opposite, diversive curiosity, which is the restless desire for novelty to relieve boredom. That's the kind of curiosity you are satisfying when you are constantly checking social media. The surprise mentioned above comes in the chapter about neuroscience. 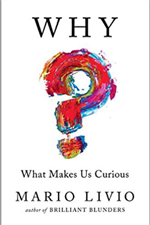 Few neuroscientists have investigated curiosity, but some of the ones that did have found that epistemic curiosity (the lust for knowledge) is associated to different areas of the brain from perceptive curiosity (which we feel when we see something strange or new). "Both our mind and our brain take perceptive curiosity as an unpleasant state," explains Livio. "We feel unpleasantness when we feel that something is ambiguous and it doesn't agree with what we know. It's like an itch that needs scratching. And indeed, the [regions] that are activated in the brain are [regions] that are typically associated with conflict or with hunger." Epistemic curiosity, on the other hand, is a pleasurable thing to feel. We enjoy satisfying our thirst for knowledge, be it in doing maths or in classifying butterflies. "In the brain it is associated with [regions] that work with an anticipation of reward," says Livio. "The knowledge is the reward for our search for it. Had we known this from the start, we may even have given a different name to the two kinds of curiosity." These findings throw some light on various theories of curiosity, which Livio also explores. The influential information gap theory, for example, asserts that we humans feel a deep need to reconcile what we see around us with our idea of what the world should look like. When there's a gap between our ideas and reality, when we miss information or are puzzled, we are driven to fill that gap. The theory nicely explains something I have always wondered about: why the phone conversation of a stranger sitting next to me on the train is irresistibly more interesting than whatever it is I might be doing at that moment. It's because the one-sided conversation is full of gaps, which my brain and mind are dying to fill in. In this vein, the theory sees curiosity as an unpleasant thing, an itch that needs scratching, so in the light of the neuroscience it clearly doesn't give the full picture. What's clear from the neuroscience is that our brain values information and rewards us for acquiring it. There are obvious evolutionary reasons for why our brain should like information, it's crucial for survival, but why human curiosity extends to such "useless" extremes as pure mathematics is still a mystery. What studies have also shown, however, is that feeling curious enhances memory. "You remember things that you are curious about better," says Livio. "Even incidental memory is enhanced." Researchers have demonstrated this in experiments where people were shown pictures of random faces and turned out to better remember the faces they saw while in a state of curiosity. This provides a possible explanation for the evolution of curiosity. "Perhaps we are programmed to get into states in which we remember things better, because that certainly is beneficial to us," says Livio. The chapter about the evolution of curiosity also contains my favourite bit of the book. Our ability to be curious to the extreme is related to our superior brainpower, that is, to the large number of neurons in our brains. Many neurons cost a lot of energy, so our early ancestors were only able to develop such powerful brains because they optimised their energy intake. One of the ways in which they did that was by inventing cooking. It makes things that were previously inedible edible, and makes meals more nutritious, easier to chew and taste better. It was their curiosity that enabled our early ancestors to invent cooking in the first place, and to discover the fire you need for it and invent necessary tools. The result was a better brain and deeper curiosity, which in turn led to new food resources, the establishment of communities and eventually a form of culture. In other words, there was a positive feedback loop between the curiosity that has made us humans who we are, that drives us to do pure maths or produce amazing art, and — cooking! Not all scientists agree with this suggestion, but it's an extremely satisfying idea nevertheless. I have read this book from the point of view of a mathematician, focusing on the epistemic curiosity that drives us to engage in crazily abstract endeavours, and with a special interest in the science of curiosity. But the book has a much wider appeal because Livio's vision is broad. He brings in literature, art and history and, crucially, the personal experience of a range of people who themselves are extremely curious. His style is engaging and playful, so even if you're not that much into science, you'll find plenty of ideas in this book to keep you thinking. And even though the book doesn't give the ultimate answer to the question of curiosity, because there isn't one, not yet, it'll convince you that curiosity is a good thing. It may occasionally kill the cat, but, as Livio suggests, satisfaction will bring the cat back. Marianne Freiberger is Editor of Plus. She interviewed Mario Livio in August 2017. 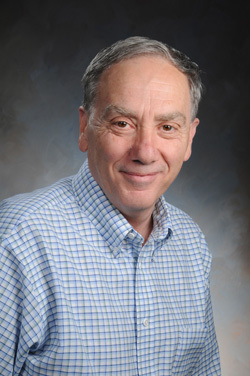 Mario Livio is an internationally renowned astrophysicist, a best-selling author, and a popular speaker. He is a Fellow of the American Association for the Advancement of Science and has published more than 400 scientific papers on topics ranging from dark energy and cosmology to black holes and extrasolar planets. Livio is also the author of six popular science books, including The golden ratio (an international bestseller for which he received the Peano Prize and the International Pythagoras Prize) and Is god a mathematician? (which was the basis for the 2016 Emmy-nominated NOVA program The great math mystery). Livio's book Brilliant blunders was a national bestseller in the US, and was selected by the Washington Post as one of the best books of the year.